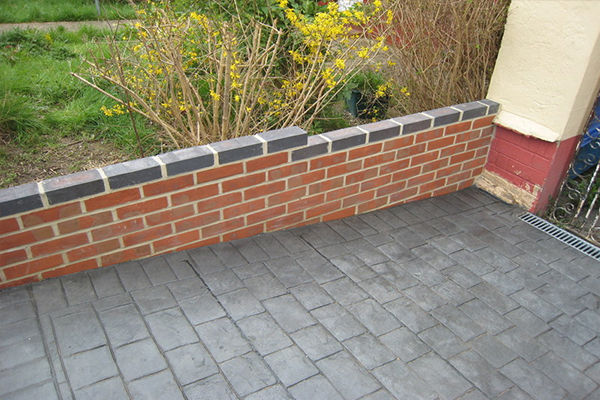 Block paving is one of the popular techniques of laying driveways, pavements and patios. You can customise the outdoors of your home or commercial premises in Pontypool with brick paving of different patterns and colours. The Herringbone pattern is the the most common approach to installing block paving but a host of other styles are available as well. At Harlequin Driveways, we specialise in block paving in the Pontypool area, ensuring that customers get the right services. We have expert pavers who have experience with different kinds of surfaces, including car parks, footpaths and driveways. Hire us for your patio driveways in Pontypool and add value to your home. One reason block paving is a preferred surfacing alternative is the ease of maintenance and repair that it offers. When a brick cracks or suffers other damage, you can lift it up and remove it. Being able to replace individual blocks makes remedial work easy. If a brick gets loose, we can lay it anew. Cleaning block paving is not complicated because the surfaces are made from clay or concrete. The way we lay the bricks offers good drainage such that water won't collect on the surface. With our block paving services for Pontypool, count on durable installations that will hold up well under high traffic and harsh weather. A simple patio at the back of your home or a new driveway can change the look of your home completely. You can have block paved surfaces that match your decoration theme. With the range of colour choices that bricks offer, it is not hard to achieve. Relay the vision you have for your block paving installation in Pontypool, and we will implement it. We use top quality materials and equipment to create good-looking and durable surfaces. Contact Harlequin Driveways for high-quality patio driveways Pontypool for domestic and commercial applications at competitive rates.